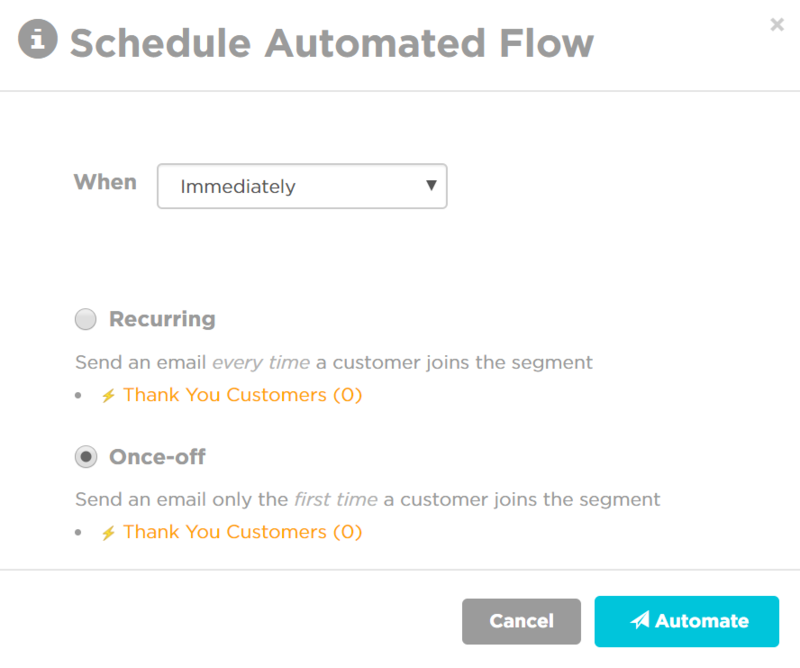 Automated Flows are emails which automatically send after a user has triggered a certain condition. This example will step through the process of developing this system with one of the most essential flows you can set up. Why have a Thank You Campaign? It's a chance to add a personal touch and differentiate yourself from the faceless corporate world (adding a personal tone, a photograph of your team, etc. 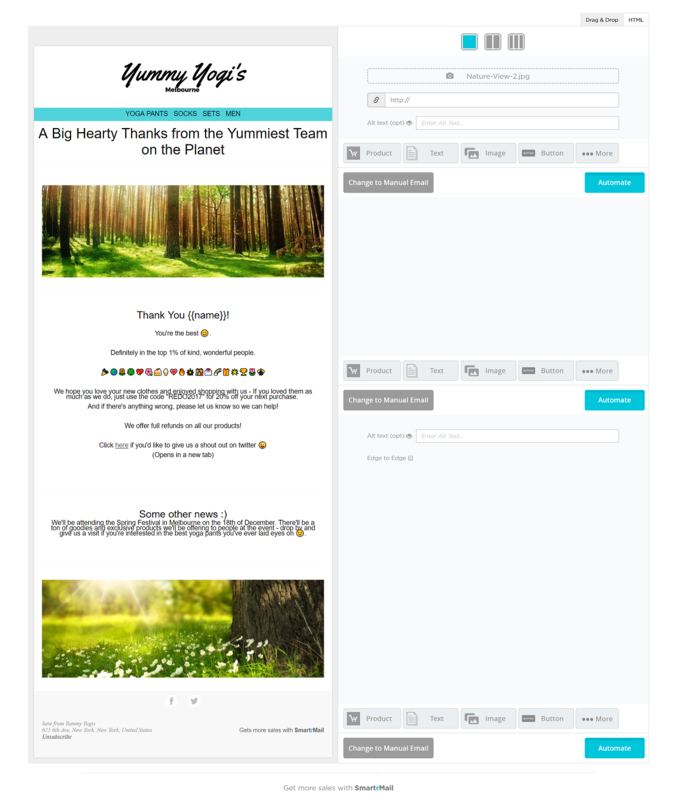 - a good Thank You email is a way of showing your commitment to customer service). Navigate to the Subscribers page, click on the Smart Segments tab, and select "Create new segment"
Choose the segment you created in Step 1. Actually say 'Thank You' in the subject title (the word 'thank’ performs well in subject lines). Choose how you'd like the automated flow to operate - in my case, I selected "Once off" since I don't want to be sending the Thank you Email repeatedly to the same customer. And then we're done, nice work! Now you can relax as your customers feel a warm welcome without any more work from you.